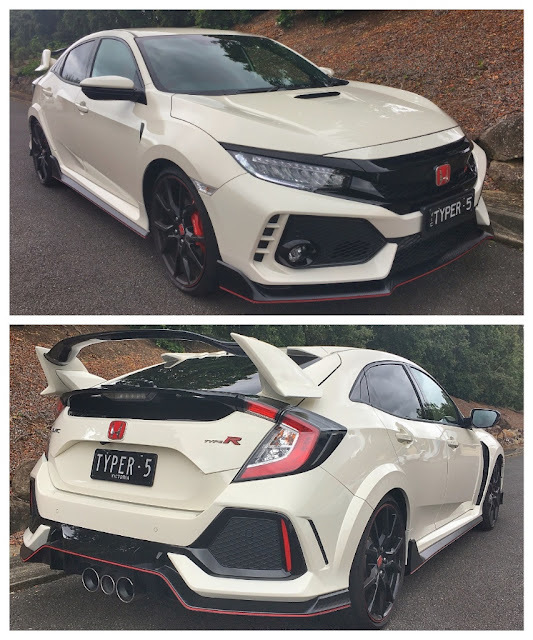 drivingandlife: TYPE R, for RIDICULOUS! Honda’s latest racy baby may be a design disaster, with more folds, creases, curves, scallops and flutes than you’ve ever seen on an entire range of cars, but make no mistake, the 2018 Type R is definitely the business. Clearly 250 Australians agree, because that’s the number of orders which Honda dealers have in hand, with the car sight unseen until now. Honda Australia says it has received 5000 ‘expressions of interest’. That could make this car Honda’s most successful-ever hot hatch. In Australia, at least. The previous version sold around 2200 cars over four years, with 719 being sold the first year. So, can it be that good? Well, if the oversized rear wing really works, and isn’t just a bit of tacked-on fibreglass flim-flam, then the Type is a serious performance car. Note the four-pot Brembo brakes, and the THREE exhaust pipes! However, the powertrain spec is, in a word, unspectacular. A 2.0L turbo four, with a six-speed manual, helical limited-slip differential and the ‘must-have’ black wheels. It's just the way those clever engineers combine their talents. However, the Type R delivers on a very convincing power play, holding the lap record for a FWD hot hatch around the Nurburgring’s Nordschleife. The Honda Civic Type R probably only has one competitor in Australia, and that’s the potent Ford Focus RS, which perhaps unsurprisingly has the identical pricetag – AUD$50,000+. The interior is the usual boy-racer black, with red highlights and stitching, but the race-bred bucket seats are superb. You get the full complement of 'driver aids' tech equipment, plus a great sound system with Apple CarPlay/Android Auto. The steering wheel, being the first thing you touch when you get in, simply invites enjoyment. 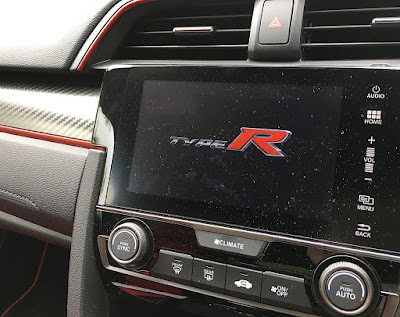 Despite having much more performance potential than you could ever enjoy in the land of secret speed cameras and patrolling plods, the Type R is a very endearing machine. After firing up, and selecting ‘Comfort’ mode I powered into the first few corners, waiting to see what happens. What happens is; whatever you want. The Type R will dawdle along in traffic, or give you a thrill a minute ride on the right back roads. In particular, the clutch action is sweet. Excellent engagement and take-up. 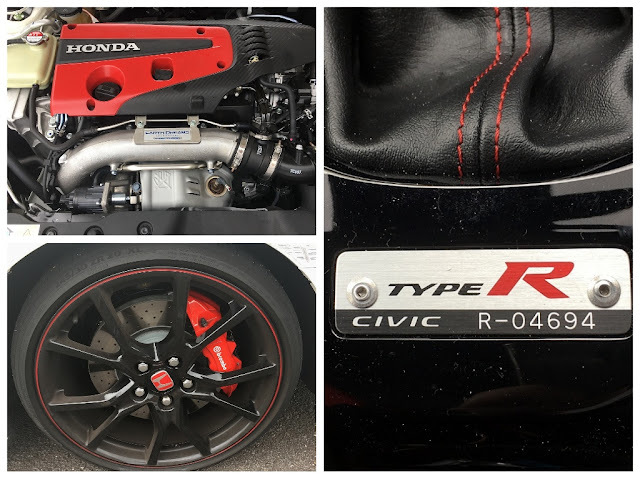 As a performance package, Type R is a beautifully-sorted and well-resolved combination of everything good that ever graced Honda’s Wako and Motegi test tracks. This is what I remember about the first Honda performance cars I drove, and of course, my own particular favourite the Honda S2000 sports car. Those cars were engineering-led masterpieces. Sweet little engines, slick transmissions, outstanding handling and beautifully-weighted steering just inviting you to let loose. 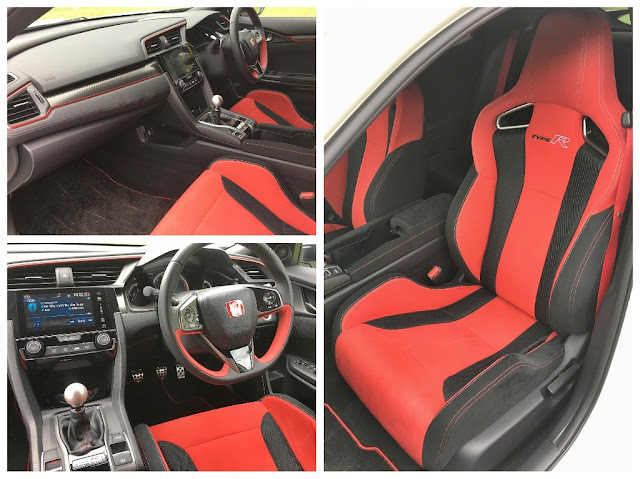 Yes, the Type R is ridiculous, but in a good way. I truly can imagine 5000 of these little buzz bombs finding owners Down Under – and more in the rest of the world where it’s sold. Thank you for sharing the review on the car. The car looks so beautiful. I wonder how many color it comes.